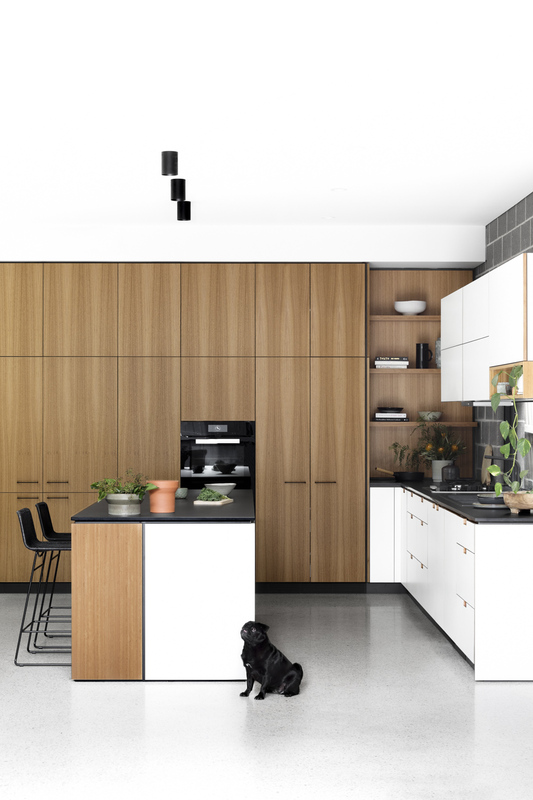 We speak to Travis Dean of Cantilever and detail-driven client, Tyson, about the robust kitchen at the heart of their well-designed home. In many ways, people in the engineering world can make for a dream design client: they have an intimate understanding of functionality, know their way around a brief as well as their role within the process, and can appreciate the enduring value of good design. Belonging to a design-savvy couple who both work in construction, Hartington Street presented just such a client. 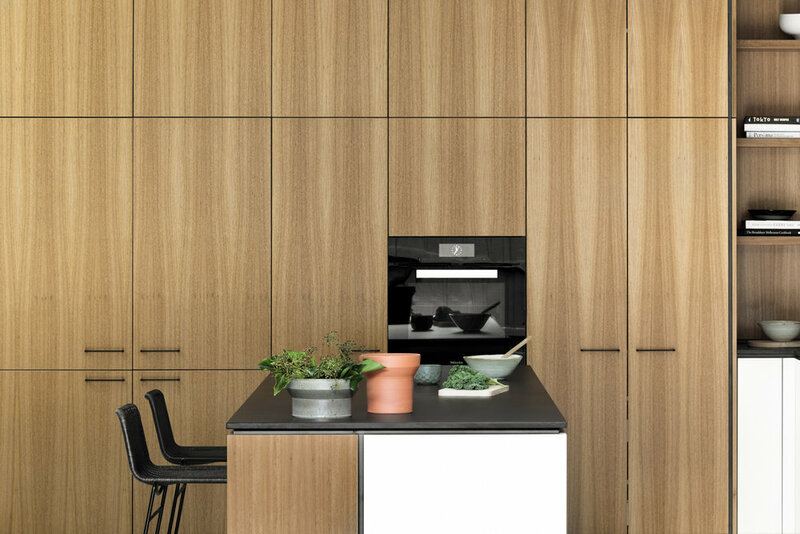 The pair approached Cantilever with an initial layout, and worked closely with Travis from there, eventually deciding on the streamlined profile of the K3 Kitchen offset by warm timber cabinetry, kitted out with top-of-the-line Miele appliances. 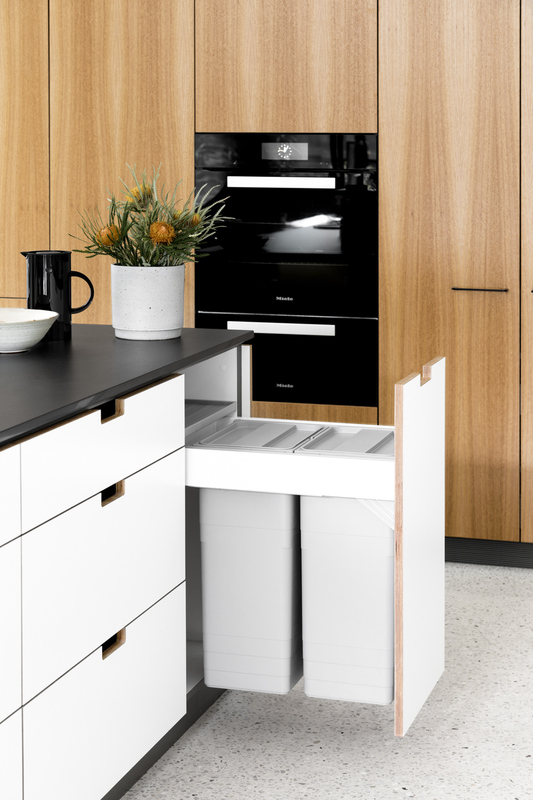 Each detail of the design – from the clever Aventos lift-up mechanism enabling ease of overhead cabinet use, to CH1 handles powder-coated black to match the monochrome palette – was included to enhance the joy and function of the space, installed carefully with precision. The overall effect is both seamless and timeless, so much so that it piqued interest from The Design Files’ Lucy Feagins, who sought an exemplary kitchen to showcase. Lucy Feagins from The Design Files on how to channel timeless classic design in the kitchen, and a ‘buy well, buy once’ attitude to selecting appliances. “They were willing to spend wisely on quality in this project. And that could be why they became one of the first clients to do Dekton with us,” says Travis. Dekton is a next-generation reconstituted stone benchtop which came out some years ago in response to some of the perceived limitations of traditional reconstituted stone. People are drawn to it for its durability, high level heat and scratch-resistance. It is absolutely built to last. Outside of the kitchen, the couple opted to enlist Cantilever’s joinery expertise throughout the house too, in their lounge entertainment unit and wardrobes.